Summer is nearing its end. For you summerphiles aghast that I should mention this – after all, summer is not technically over until September 22 in the northern hemisphere – I must tell you that I anticipate all seasons equally. Perhaps pumpkin spice latte season more equally. . . Anyhow, here are five activities that make a summer, and this summer in particular for us, classically American. 1. While we enjoy American ice cream year round, summer is when its flavor and chill is most refreshing and desired. Yes, American, ice cream. Is there any other kind, you ask? Well, we’ve traveled the world and nothing in the freezer section of the supermarkets in South Africa, Germany or Japan can quite compare to the American dairy delight. Soft serve, gelato, beni imo and other sweet, frozen treats have their place. But an American summer must have American full-dairy ice cream to be complete. Ice cream with peanut butter at Bruster’s in Virginia Beach, Virginia cannot be found anywhere else in the world. 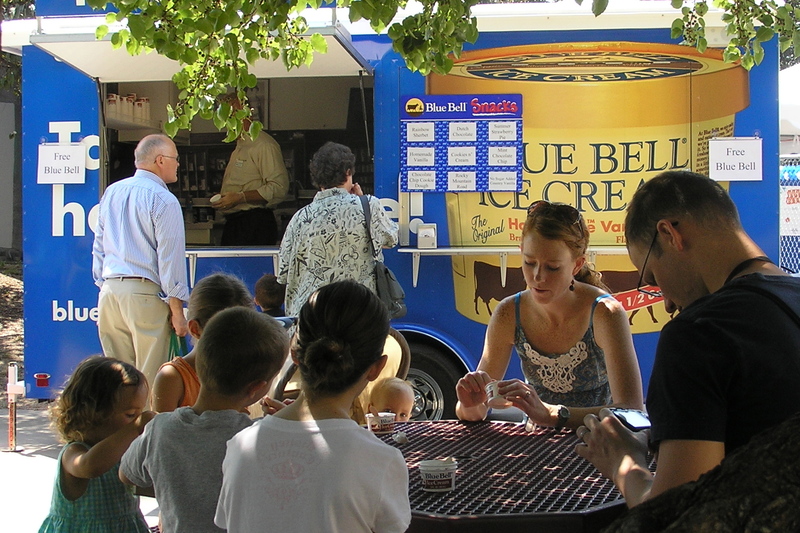 Free Blue Bell ice cream was passed out by the scoop at the Denver Children’s Museum several days this summer, of which we gladly partook. Cookie dough, cookies ‘n cream, peanut butter – these flavors are nearly impossible to find outside these great 50 States (except at the rare Ben and Jerry’s or Baskin Robbins that have popped overseas where you can fork over five bucks and enjoy a scoop). And it’s not uncommon in these United States for individuals to posses their very own ice cream makers and concoct amazing creations such as chocolate kahlua ice cream (yes, a friend shared some of her own making with us this summer). A perfect summer incorporates perfect ice cream. 2. A county fair offers a glimpse into local culture and values like few other events can. 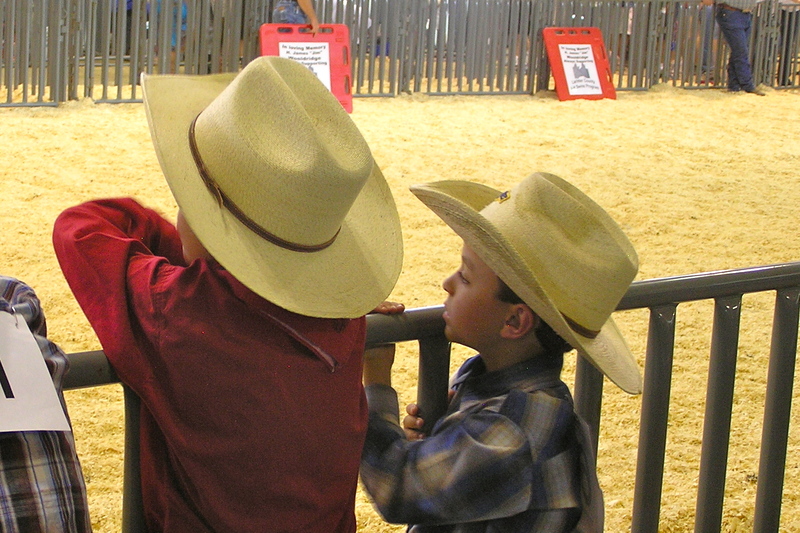 Large and small, free or charged admission, rural or urban – county fairs run the gamut, obviously conditioned by the geographic location of the county. 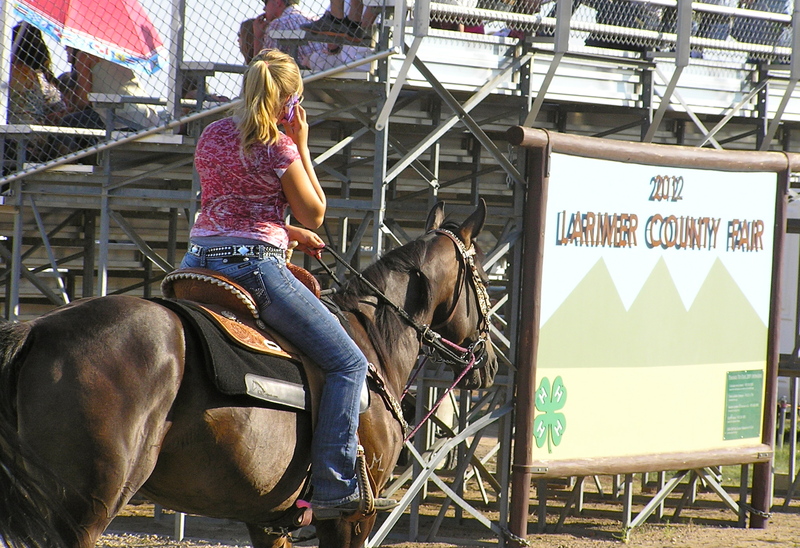 We attended the Larimer County fair in Colorado this year. Free admission! 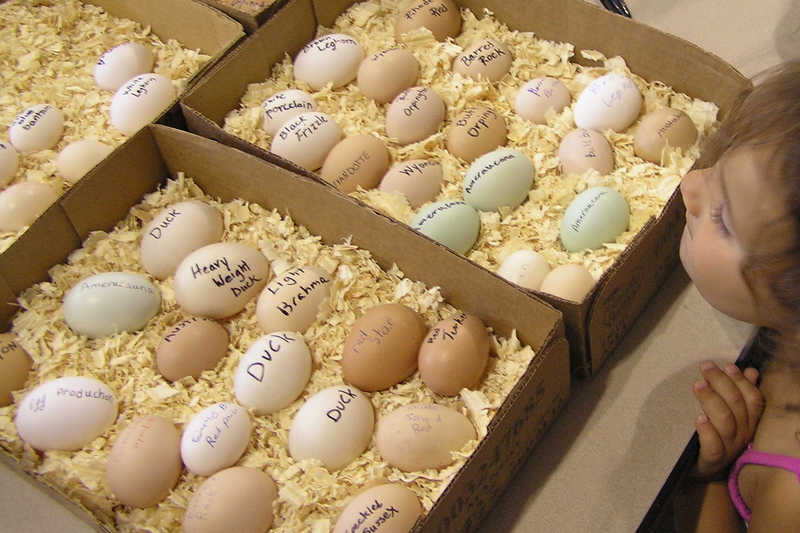 Children who labored all year raising the perfect sheep or chicken seek to win the coveted blue ribbon. There are more categories than one could ever imagine in which submissions are judged – sewing, canning, original lego creations, cake-making (in which my cousin won the blue ribbon in the chocolate cake category! ), cake decorating, best tomato, etc, etc, etc. Amusements, including the obligatory ferris wheel, are nearly always represented at the county fair. 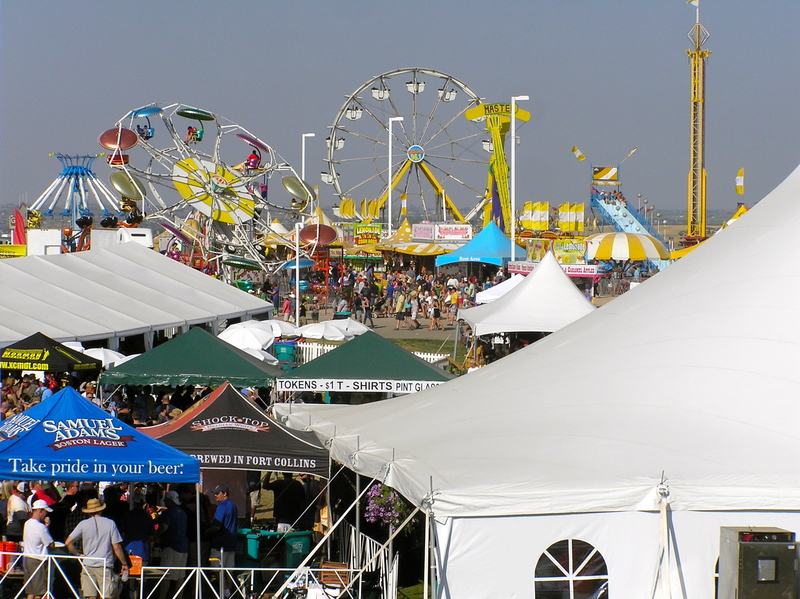 The fair – a truly traditional summer family event. Is talking on the phone while driving a horse legal? 3. We had the privilege of attending two professional baseball games as a family this summer. Avid sports fan or not, a baseball game is an American social event. People yell at the players or at the opposing team’s fans. We do the wave. We chat with those sitting around us and with the folks waiting in the hot dog line. We all wave madly, trying to attract the attention of camera crews who may throw our picture on the giant screen above the outfield. Two-seconds of fame. We spill kettle corn in the aisles. We try to catch a foul ball. The girls climb the railings like world class gymnasts. And occasionally we watch the players on the baseball diamond and glance at the scoreboard. We’re not here for the game, we’re here for the experience. 4. Until I visited for the first time last week, I didn’t realize how Americana pervades Disneyland. What?!? The media giant that’s all about princesses and winning your kids over so they always want the latest character in toy form? Yes, one and the same. Disneyland in Anaheim, California is not the giant that is Disney World in Orlando, Florida. (Not having grown up in the United States, I didn’t realize until adulthood there were two Disney parks on opposite sides of the country). Disneyland has pristine gardens nestled between pleasure rides for all ages. Themes such as Frontierland featuring the ever popular wild west, New Orleans, Tom Sawyer’s Island and a turn of the century American small town main street infuse visitors with Walt Disney’s idealized re-creation of America. An Abraham Lincoln exhibition and a performance of the Voices of Liberty accapela octet round out the tour with a burst of patriotism. The happiest place on earth may just be in the proudest country on earth. Did you do something quintessentially American this summer? If you are not American, what did you do that typifies your culture? Please share so when we visit your neck of the woods we’ll know where to get our dose of authentic culture. Funny your reflection on “American Ice Cream”……yes it is very different around the world. There are a whole host of different never-heard of flavors here, (mochi, matcha, lichie, taro, dragon fruit) and none of the “traditional” ones mint, vanilla, etc. it’s always funny when someone gets a green tea when expecting mint. But from what my friends here have said, they are equally disappointed in the states when the reverse happens! Good point! Probably everybody just loves what they grew up with (or what they can’t find where they live and are thus deprived of).